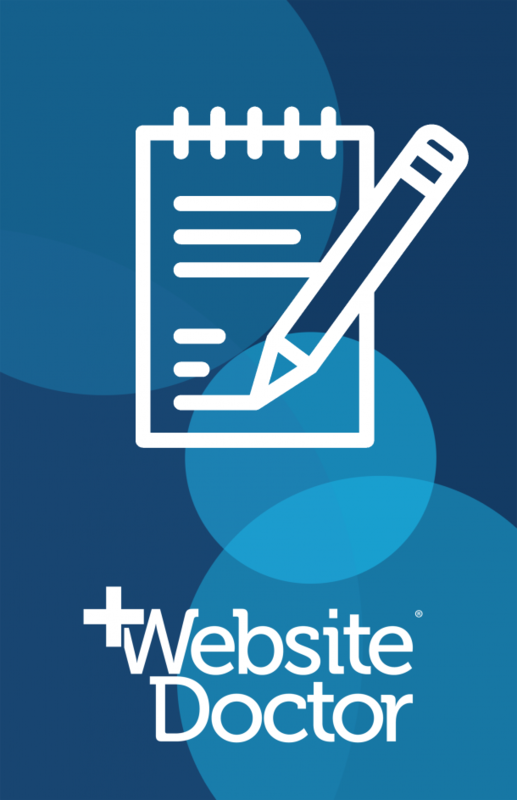 Earlier this year I did some in-depth reviews of a bunch of business websites. I noticed the same problems coming up over and over again, despite the businesses being in very different industries, selling services vs products, and selling to other businesses or consumers. These mistakes that are absolutely killing their conversions – sales and lead generation from their websites. I got a lot of questions from the business owners on how to solve these problems. One entrepreneur told me that she was desperate for a solution as she was $1,900/month down on her ecommerce sales after getting a huge website redesign! 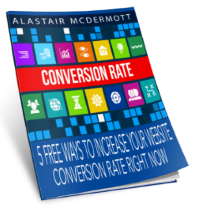 As a result, I created this short, info-packed workbook to help business owners solve these website conversion killers and save thousands in lost sales. The advice and tools in this workbook can help you massively increase the number of sales and leads generated from your website. This is not a huge video course with 25 hours of streaming video, or an attempt at rewriting War and Peace. 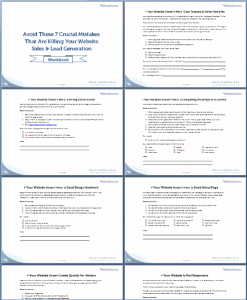 It’s a short, 10-page PDF that is absolutely crammed full of valuable advice that you can use to get your sales numbers moving up right away. The 7 Website Conversion Killers Workbook is an investment of only $15. I’m pricing it very low… simply because want it to be a “nobrainer” decision for you to take me up on this offer. You’ll be able to see an immediate return on your money when you implement even a few of the changes we’ll suggest. I’m also giving a very simple 100% money back guarantee: if you don’t think you’ve gotten at least one idea that will earn you $10 from this workbook, then I don’t want your money. In fact I want you to ask me for refund. This 100% money back guarantee is good for any time in the next year – 365 days from the date of purchase – I need to put a limit on it to keep my accountant happy but a year is plenty of time for you to implement all of the suggestions and I’m confident that you’ll earn your investment many times over.